Can Turning Down the Thermostat Make You Healthier? 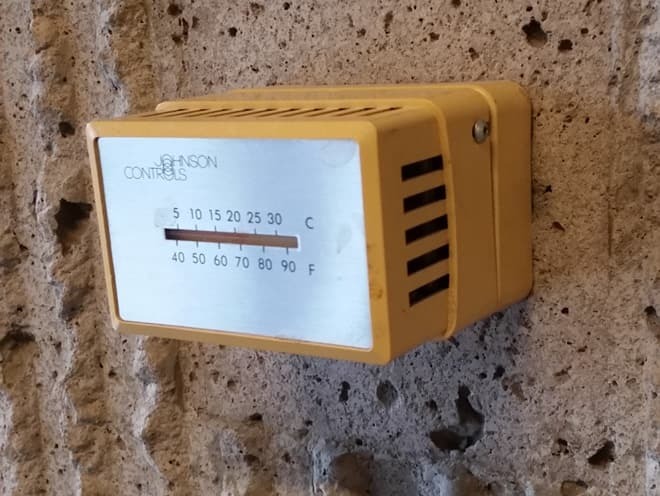 Canada Pharmacy Online > Blog > Can Turning Down the Thermostat Make You Healthier? Somewhere in a lab in the Netherlands, scientists are trying out a new therapy for type 2 diabetes. They ask individuals to come dressed appropriately – that is, in shorts and T-shirts. They usher them into a room, give them a place to sit, and ask them to amuse themselves for a few hours by reading or checking their email. And that's it. Here's the key, though -- the room is cooled to around 60 degrees Fahrenheit. 'Cold acclimation' therapy, which is akin to turning down the thermostat and sitting around the house, can have surprising effects on metabolic health. The Dutch scientists recently found that, after ten days of this therapy in the lab, a small group of people with type 2 diabetes increased their insulin sensitivity by an average of 43%. In this condition characterized by high levels of glucose in the blood, the therapy seemed to work wonders by making the individuals need less insulin to bring their blood glucose to an acceptable level. The study included only eight participants, so it needs to be repeated and verified, but the researchers noted that this method could possibly work as well as long-term exercise training for those with diabetes. Could cold acclimation therapy actually help people lose weight? The same group of scientists tried out the therapy in a group of non-diabetic men who were obese. For ten days, the men were exposed to the cold for increasing lengths of time. To understand what happened next, you need to know about a specialized kind of fat in the human body: brown adipose tissue, or BAT. Of the two kinds of fat – brown and white – brown fat is the more desirable kind. Its expertise is converting substances directly into heat. So when the body is subjected to cold temperatures, BAT kicks into action to help maintain a constant internal temperature. In the experiment, the obese men who sat in the cold room showed an increase in the beneficial BAT activity: their brown fat took up more glucose in the body, making ‘useless’ heat and using up more energy. While the therapy wasn't tested long enough to know whether it could actually help the men lose weight, the chances are high that greater energy use would lend itself to weight loss. The only caveat was that BAT was not activated as much in the men who were older, or in those who started with the greatest amount of body fat. The latest development in the story is a study that suggested the power of cold acclimation therapy might be attributable to the gut microbiota – the community of microorganisms that lives and thrives in our digestive tract. This part had to be tested in mice, not humans. A group of researchers exposed mice to cold temperatures and found that the kinds of bacteria they harboured in their gut shifted. The researchers then took a sample of this 'cold microbiota' and transplanted it into germ-free mice. Suddenly, the recipient mice increased their insulin sensitivity and levels of brown fat. They started losing weight. In doing so, they mirrored what had happened in the human experiments. But things took a turn when the mice continued to experience cold temperatures for a longer period of time. The mouse body adapted. The weight loss tapered off because the absorptive surface of the gut grew and the mice started to harvest more calories from the same diet. Would the same thing happen in humans? We don’t yet know. If the human body adapted in this way, the therapy might only be effective in the short term and the promise of weight loss would be diminished. Many questions need to be answered before we know for sure whether cold acclimation can make a real difference to those with obesity or type 2 diabetes. The theory is plausible – cold temperatures increase the body’s energy demands in ways that can benefit metabolic health through activities of the microbiota – but data are lacking. If you’re looking to lose weight, should you try cold acclimation at home? It might depend on whether 60 degrees Fahrenheit sounds remotely bearable to you. There’s only one obvious risk: the ire of your roommates. Don’t touch the thermostat without asking them first.